In these difficult financial times, it’s often challenging to find a convenient healthcare solution for your whole family. If you are like most of our patients, you work, you are on a tight budget, you have children in school and less free time to get the proper medical care for yourself and your family. Your perfect solution is right here at Patel Medical Esthetics. One location to serve all your medical needs conveniently and affordably. And one physician – Bhupendra R. Patel, MD, who can take care of most of your family’s medical needs – and keep you looking young and beautiful at the same time – all in one place. We welcome you and we look forward to giving you the warmest, friendliest, most compassionate care using today’s most advanced medical esthetic technology. 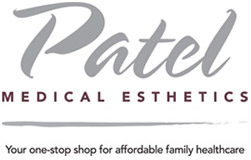 For you and your family's healthcare needs, visit Patel Medical Esthetics in Franklin Park. Call (847) 455-4701 or fill out our online Request an Appointment form to schedule your consultation with Dr. Patel. Located in Franklin Park, IL, Patel Medical Esthetics is a practice lead by Dr. Bhupendra Patel, MD. We offer complete family medical esthetic services, including weight-loss services, laser hair removal, skin tightening and vein therapy. We also offer patented products and services like Botox®, Juvéderm®, Venus Legacy™, Latisse®, ZERONA® nonsurgical body slimming and Obagi® skin care. © 2019 Patel Medical Esthetics. All rights reserved.